Leaving Cert 2 Geography students went on a field trip to Liscannor Bay, Co. Clare on Tuesday, 4th September. 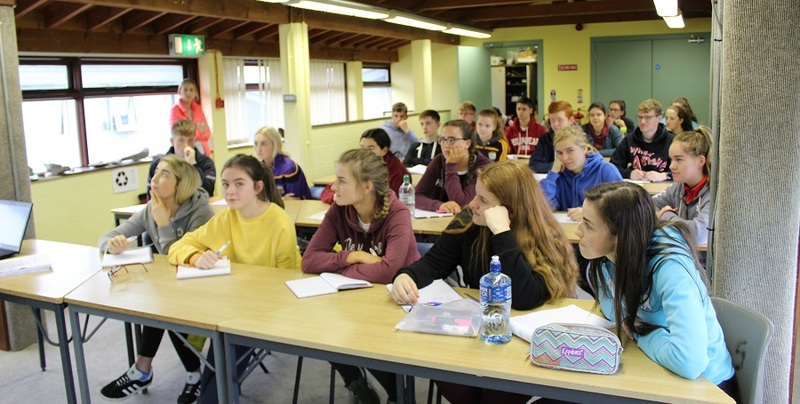 As part of their Leaving Cert Geography course, they are required to submit a written report on the field-trip which accounts for 20% of their Leaving Cert Geography result. They investigated coastal erosion, transportation and deposition. This trip enhanced their practical skills as they were given the opportunity to learn how to use geographical instruments such as anemometers, compasses, vernier calipers and quadrants. They really enjoyed the day! Thank you to their teachers who organised and accompanied the students on their trip. For more images from the day visit our Facebook page by clicking the here.